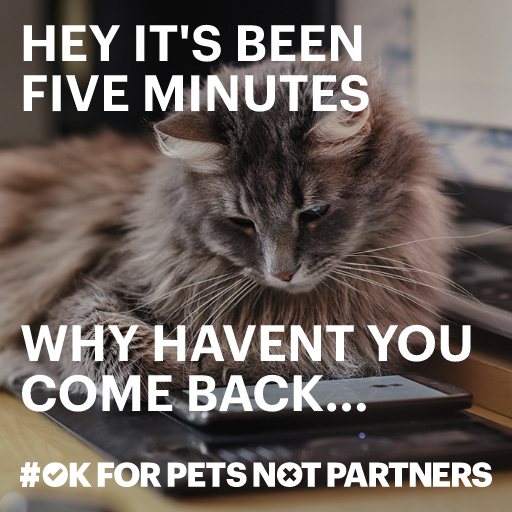 Pets can and will take advantage of our love. And we forgive them because they’re cute and fluffy and don’t know any better. But people should know better. 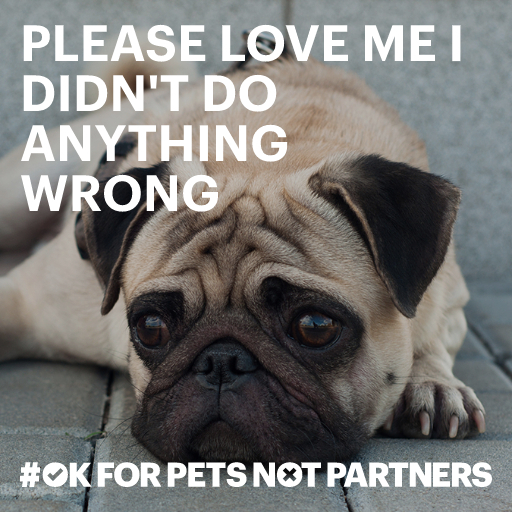 Help us highlight the grey areas between love and control by creating your own #OKforpetsnotpartners meme. 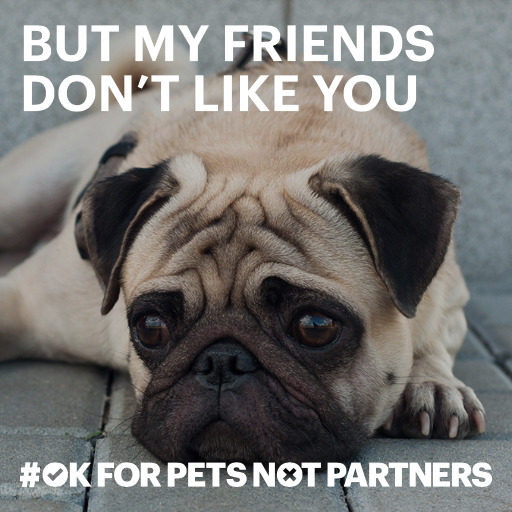 Think of something that’s ok for your pet, but not ok for your partner. 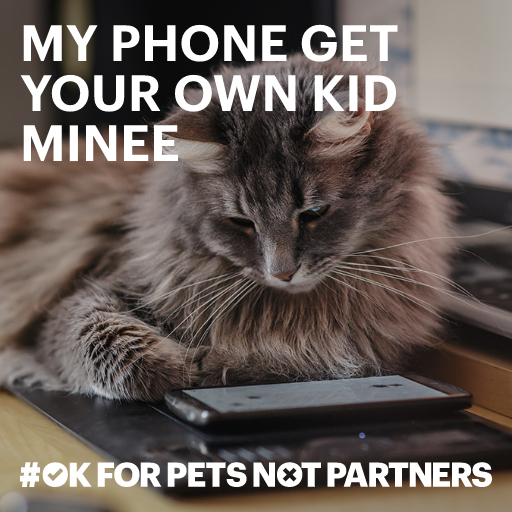 Then bring your meme dreams to reality by typing an unhealthy relationship behavior over one of the animal photos below. Or upload your own picture if you think you can do better! The One Love Foundation in honor of Yeardley Love was created in 2010 to honor the memory of Yeardley Love, a UVA senior who was killed by her ex-boyfriend just weeks before graduation. After her death, Yeardley’s family and friends were surprised to learn the statistics – that 1 in 3 women and 1 in 4 men in this country will be in a violent relationship in his or her lifetime and that young women ages 16-24 are at 3x greater risk. Today, One Love’s ambitious goal is to end relationship violence by educating, empowering and activating young people in a movement for social change. 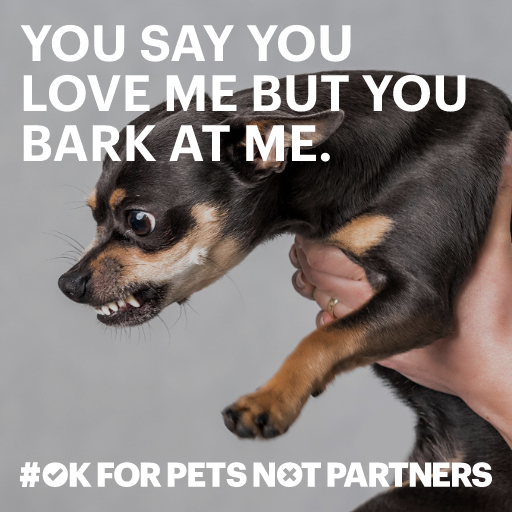 The #OKforpetsnotpartners is the fifth chapter in our #ThatsNotLove campaign designed to highlight the grey areas between love and control. 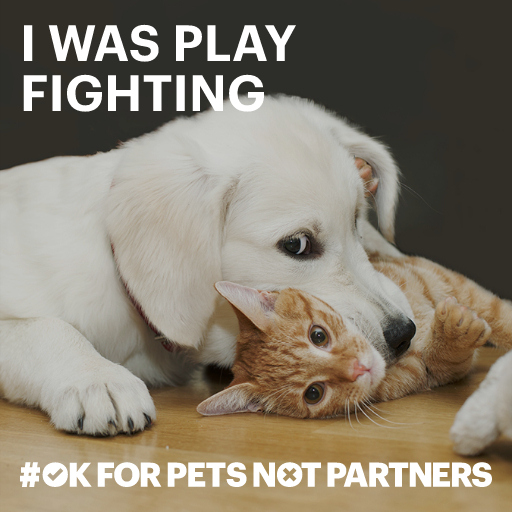 You can help educate others about the dangers of being in an abusive relationship by creating and sharing your own #OKforpetsnotpartners meme. Scholarships will be given to three lucky winners - learn more below! 1 in 3 women and 1 in 4 men will experience relationship violence in their lifetime. For too long “good” guys and girls have been silent on an issue that dramatically impacts them and their friends. You can help someone realize the signs of an unhealthy relationship by starting the conversation. Relationship violence is a societal epidemic, affecting people of every age, race, class, gender, and sexual orientation. Although young adults age 16-24 are at greatest risk, they often don’t think relationship violence happens to them. Help us highlight the grey areas between love and control by creating your own meme and you could win a $500 scholarship from One Love Foundation.